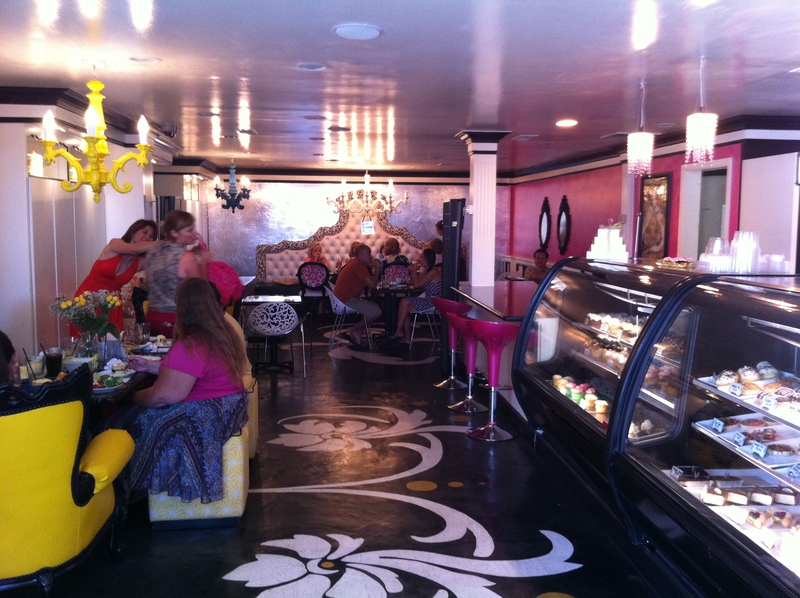 I went to a cute little bakery/cafe in Costa Mesa called Queen’s Bakery. It was located in a hidden area by a manufacturing-industrial place. I decided to go here because I got a Travel Zoo deal for $20 where two people can have tea, salad, sammiches, and dessert. Well first, I did some Yelp research, saw pictures of the place, fell in love with it, and then bam. Purchased the $20 deal. Be on the look out for this deal on Travel Zoo because they tend to sell it randomly. 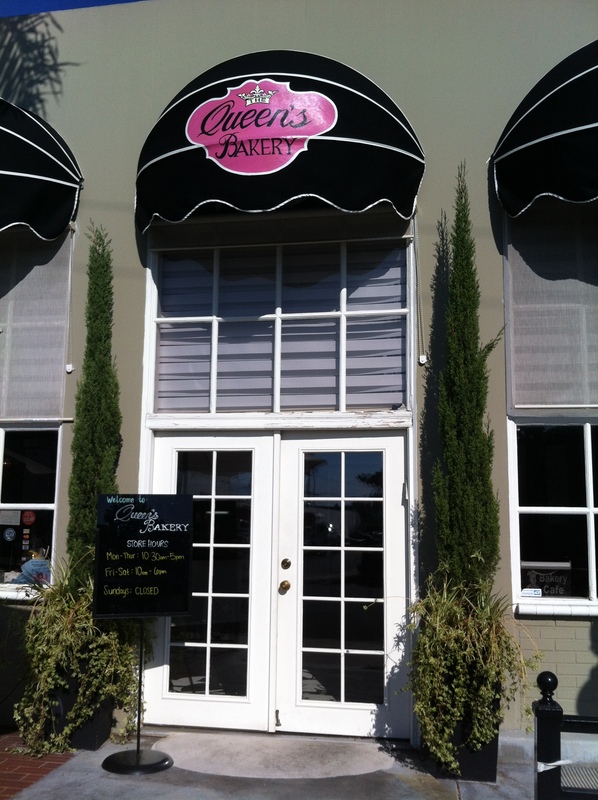 If you ever plan to go to Queen’s Bakery on a Saturday, make sure to make reservations in months advance. Ok, maybe one or two months in advance. They get booked pretty quickly. On weekdays, I don’t think they’re too busy. Oh, they close pretty early. So you can’t have your tea party too late or else you’ll have to relocate your tea party to Coffee Bean & Tea Leaf instead. But. You shouldn’t even being having your tea part at night. They’re for the afternoon time! I had iced tea that afternoon because it was one hot sumer day! 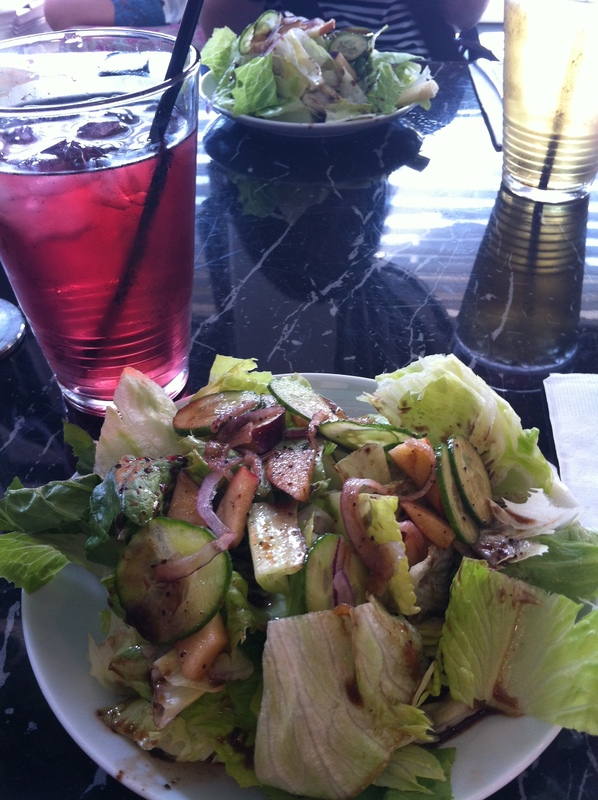 Started off with salad. Then cute little sammiches. My favorite sammich was the one with nutella spread and pieces of almonds in it. Simple, yet so yummy in my tummy. 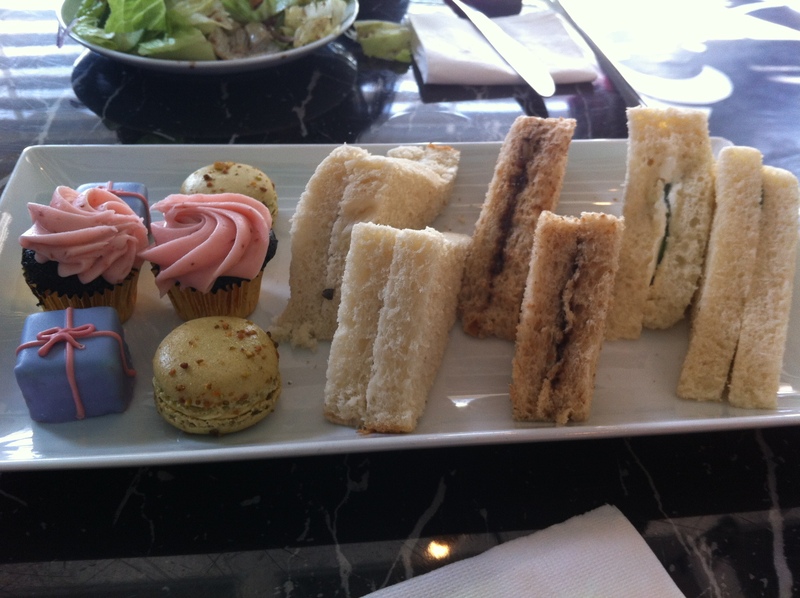 Of course, the chocolate cake present, cupcake, and macaron were all sweet just the way I like sweets! 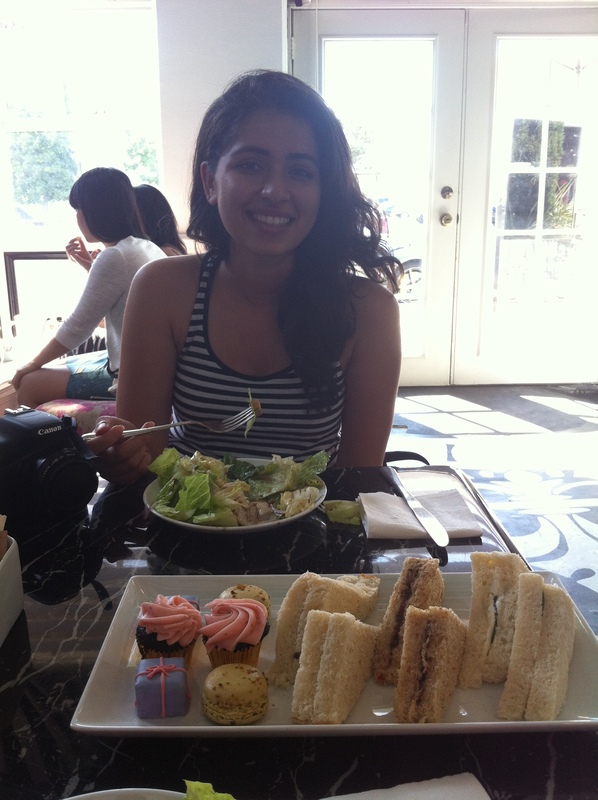 Thanks Apoorva for joining me in this cute little tea party session! It was nice to upgrade our hang out for once to a fancy tea place instead of C-Beans. Ok, I haven’t done this in awhile. It’s time for you to meet my friend, Apoorva! Don’t worry, I have more than a few friends compared to what you see here in this blog. 2. How do you know Tina? We became friends in middle school and had few classes together. Then we went on many coffee sessions talking about good ol’ life. 3. What do you spend most of your time doing? Blogging (please visit:apoorvamore.tumblr.com =] ), taking pictures. Currently, I am watching a LOT of 30 rock :).